Though Apple Maps has made big improvements since its release in 2012, it has never been considered as good as Google Maps. Apple wants to change that by rebuilding Apple Maps from the ground up. Apple SVP Eddy Cue recently sat down with TechCrunch and revealed the company's ambitious plan to revamp Apple Maps. 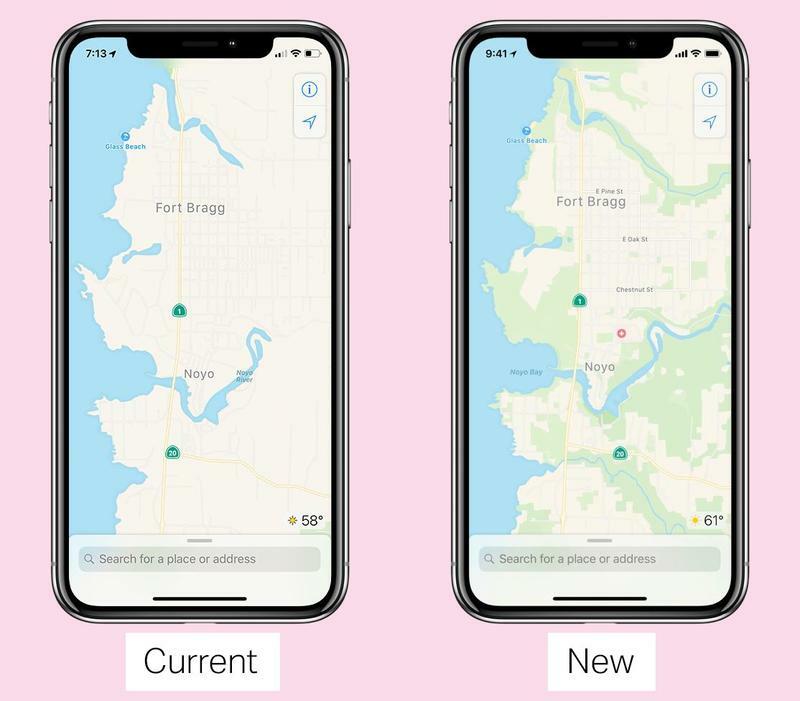 For the past six years, Apple has mostly relied on third-party data to create the mapping data in its service, but that's going to change with this new initiative. "Since we introduced this six years ago – we won't rehash all the issues we've had when we introduced it – we've done a huge investment in getting the map up to par," Cue said. Part of Apple's investment was dispatching a fleet of cars outfitted with sensors and cameras to gain as much first-party mapping data as possible. It's also using iPhone data to gain additional information. Among the information gathered is added detail like ground cover, foliage, pools, pedestrian pathways and more. Overall, users should see much more detailed maps that expand upon specific areas like cities, highways, lakes and the outlay of the area. "We wanted to take this to the next level," said Cue. "We have been working on trying to create what we hope is going to be the best map app in the world, taking it to the next step. That is building all of our own data map from the ground up." In coming months, Apple will slowly roll out this new data to Apple Maps. It'll first be available in San Francisco and the Bay Area for users on the iOS 12 beta, and eventually roll out to all of Northern California in the fall. Apple plans on incrementally rolling out the new mapping data to specifics sections across the country over the next year. This move was long overdue though it's strikingly refreshing for Apple to admit its mapping service was not very good and needed to be addressed. We'll see how it turns out as Apple rolls out the revamped data to Apple Maps over the next year.